Luna Rossa was originally sold in 2012. Her current owner bought her in 2015 and corrected all survey findings at that time. In 2017 the yacht benefitted from a mechanical update including a zero ­hour rebuild of the mechanical end of both generators, complete Awlgrip hull paint, interior refurbishment including new hardwood floors and fascia boards in strategic areas, new high­ quality mattresses, and a general update and upgrades where needed. Luna Rossa has a full­-time crew of five, who maintain her in show condition at all times. Every area of this yacht is immaculate and ready for the next owner. SYS Yacht Sales is pleased to assist you in the purchase of this vessel. 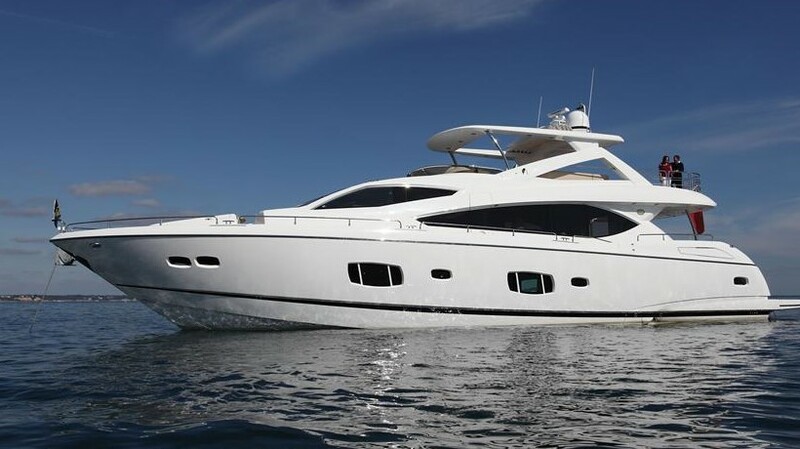 This boat is centrally listed by Chamberlain Yachts International.